End user label application requirements can vary widely. Many companies have labeling projects that do not fit into an existing standard product offering. 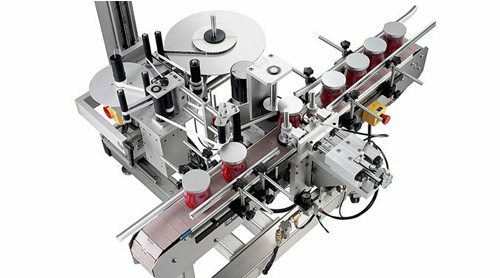 Quadrel’s experienced and professional engineering staff addresses these needs with a willingness to design complete, custom one-of-a-kind labeling systems. From custom controls requirements common with Fortune 100 companies, to explosive environments, Quadrel is able to address your labeling needs. This system is ideal for custom applications in hazardous or highly corrosive environments, and built completely out of 316 surgical grade stainless steel. Designed for large-diameter tubes, it labels in a horizontal configuration. May be integrated into other existing product handling equipment. 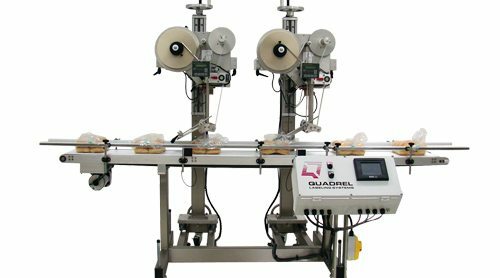 System shown is Quadrel’s friction feed labeling system. 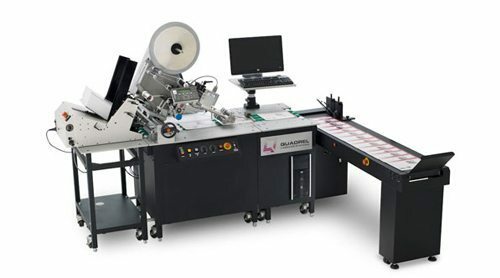 Designed to print and apply address labels to direct mail pieces from a computer database. 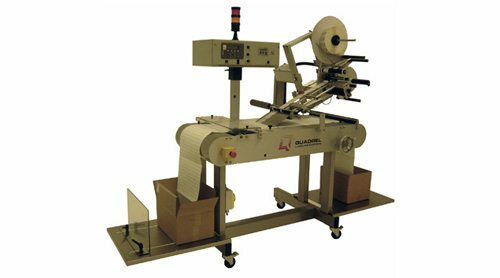 The high speed labeling system that applies labels to multi-part business forms at speeds up to 200 feet per minute, with pinpoint accuracy. Designed for use in explosive environments, this intrinsically safe design complies with intrinsically safe Class I / Div II requirements. 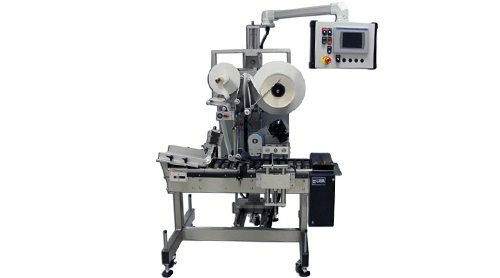 This inline wraparound system uses “trap and spin” technology, with optical product orientation and a thermal transfer printer. 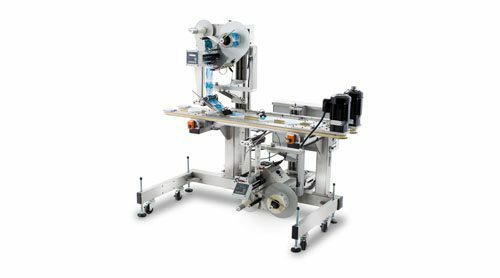 This three panel applicator utilizes rotary actuator to apply labels to the leading edge and sides of rectangular or square products. 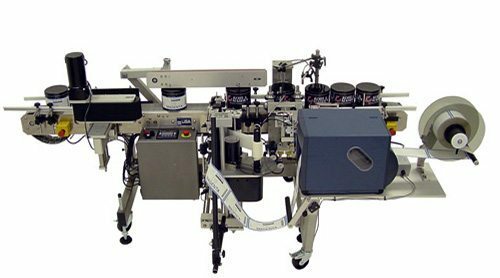 By holding the product and rotating it in place allows a wide variety of labeling options from optical spotting to applying long narrow labels. 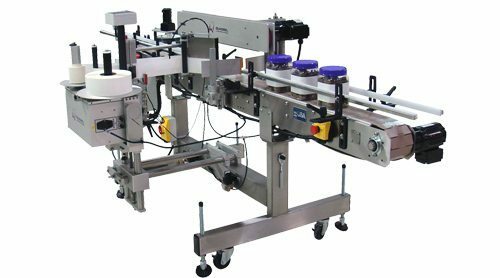 This custom system uses a split belt and is designed to apply labels to the tops and bottoms of various containers simultaneously. 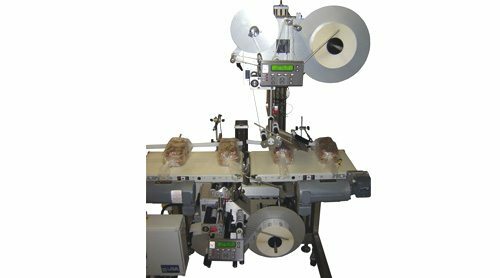 The zero downtime top labeling systems utilizes two applicators with an automatic crossover to provide 24/7 non-stop labeling. 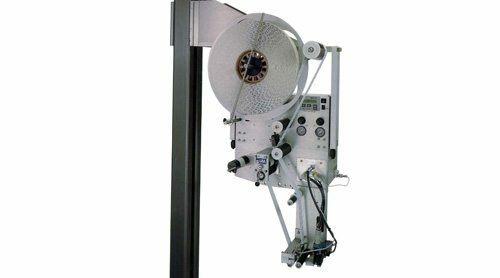 This custom small diameter wrap system can obtain speeds of up to 200 products per minute with pinpoint accuracy. 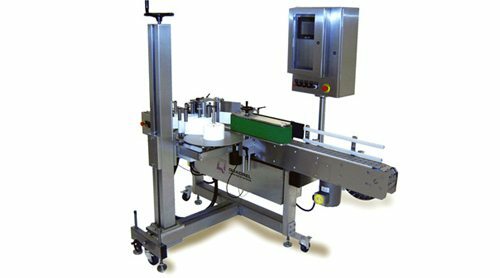 The Q41 Label Applicator is used as a platform for our EAS Labeling System. 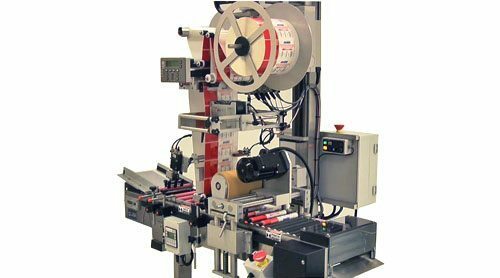 There are three Application Modules that allow the EAS tags to be applied on cartons while they are folded in folding machinery. Sensormatic and Checkpoint RF and AM tags can be applied with speeds up to 300 ppm.